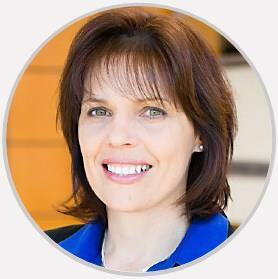 Rachel Gusse is a board-certified physical and manipulative therapist and weight trainer. She is the physical therapy lead at NSPC. She has a strong focus on posture awareness, movement recovery, and stabilization techniques. Rachel is a rock star! Always upbeat and very helpful. Asked a lot of questions about how I was feeling. I also knew that my left leg was still giving me a lot of pain and we dated check for a blood clot before I did any physical therapy. Excellent explaining what you need to do to recover and she’s very enthusiastic in doing it . Rachel is very professional, knowledgeable, personable and encouraging. She has been very, very helpful to me at this stage in my life. She was thorough and was not afraid to try different approaches to try and diagnose. Rachel's evaluation was extremely comprehensive. I learned so much! Her energy is contagious. Also, Shelly, the athletic trainer is incredible. Every exercise we do makes so much sense and teaches me so much. Love them both. I have a 25 yr history of complex spine. Rachel is the best spinal PT I have ever met and worked with. Her entire philosophy, approach to rehabilitation and effective patient instruction has helped me tremendously . She is simply the best !